With the game being the last home game of the 2018/2019 season, Sports came into this game fighting for survival. John McGrath put out a good 4-3-3 formation with Lewis King in goal. The back four consisted of Karel Tvaroh, Mason Warren, Ben Turner and Pablo Mills. The midfield three consisted of John McGrath, James Braxendale, Jake Scott. The three front strikers consisted of Jack Storer, Shaquille McDonald and Evan Garnett. The bench consisted of Jiri Boula, Jimmy Phillips, Neil Yadolahi, Javaun Splatt and Ricky Ravenhill. First half commenced and unfortunately throughout the first 25 minutes of the game, not much did occur but Sports did make an early substitution on the 14th minute with Jimmy Phillips replacing Jack Storer. On the 7th minute, Sports had a chance to score but John McGrath’s shot went over the bar. On the 11th, Basford had a chance but Nat Watson’s shot also went over the bar. On the 37th minute, huge chance came for Sports as Jake Scott planted a great header from a corner but his shot hit the crossbar and then a shot by James Braxendale saw the ball go over the bar. Second half commenced and once again not much occured throughout the second half until the 57th minute when a goal came for Basford with Henri Wilder’s shot blasted into the top right corner and giving Basford the lead. On the 60th minute, Sports made another substitution with Javaun Splatt replacing James Braxendale. On the 64th minute, chance came for Sports but the wing struck the ball onto the crossbar. On the 68th minute, chance came for Basford but Cory Grantham’s shot was well blocked by Sports keeper Lewis King. throughout the final 20 minutes of the second half, Sports could have equalised but fell short and all chances were defended well by Basford defence and Basford keeper. 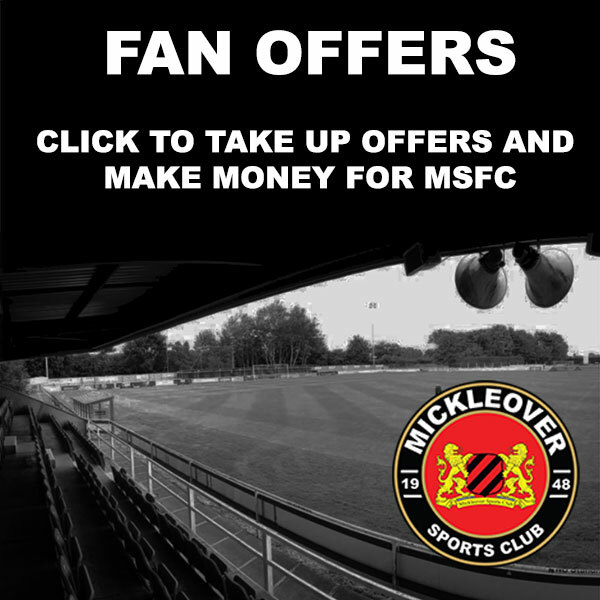 Mickleover Sports have a huge week coming up in their bid to avoid the drop and win silverware at the same time…. 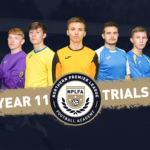 With no game this Saturday due to North Ferriby having been made liquidated, Sports have a chance to have an extra training session ahead of Mondays final home game. Ben Robinson, chairman of Burton Albion, has kindly offered John McGrath the use of The Pirelli Stadium to hold that extra session. Everyone at Mickleover Sports would like to extend a huge thank you to Ben Robinson, Nigel Clough and everyone at Burton Albion Football Club for their kind gesture. Sports play their final home game of the season against in form Basford United. The side from Nottinghamshire has changed their management team since our last game with them back on Boxing Day. 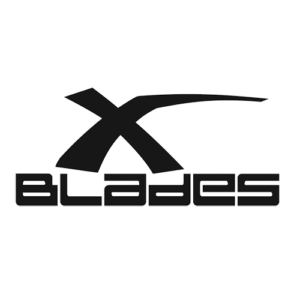 After a huge defeat at home to Hyde United, they have bounced back and are within a slim chance of making the play offs. Sports however could be back inside the relegation if Bamber Bridge have won at home to Matlock Town, so John McGrath will know that a result is needed in the final game of the season at The Don Amott Arena. A huge night for everyone at Mickleover Sports Football Club as we head to Pride Park, the home of Derby County, for the Derbyshire Senior Cup Final 2019. The opposition will be National League North side Alfreton Town, whom knocked Sports out of the FA Cup 3rd Qualifying Round earlier on in the season. So Sports will be looking for a bit of revenge as they take part in their first ever Senior Cup Final. 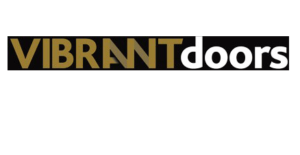 Tickets can be bought at the ticket office at Pride Park on the night of the game with only the main stand open. No segregation is in place either. 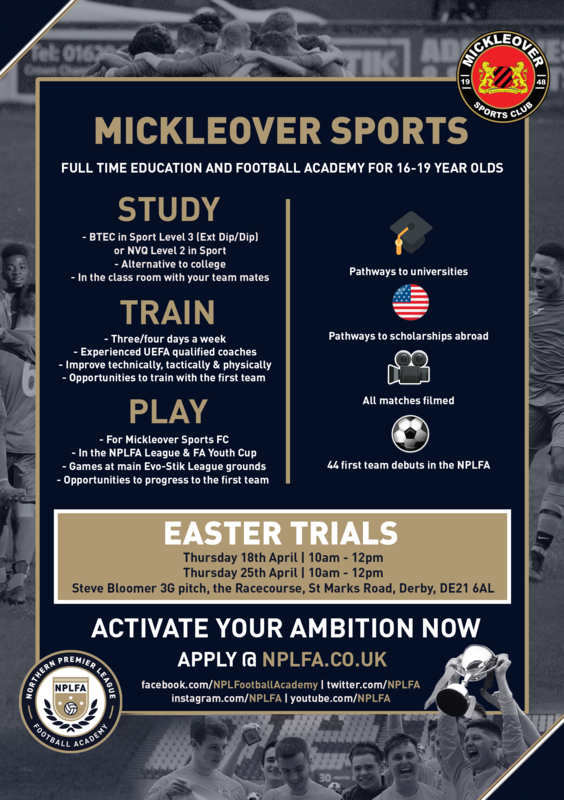 After a successful winning streak last week, Mickleover Sports came into this game continuing the winning streak. Sports manager John McGrath put out a good team that consisted of a 4-4-2 formation. Lewis King was in goal. The back four consisted of Jake Scott, Pablo Mills, Mason Warren and Ben Turner. The midfield consisted of John McGrath, Jimmy Phillips, Jack Storer and James Baxendale. The two front strikers consisted of Evan Garnett and Shaquille McDonald. The bench consisted of Will Norcross, Jiri Boula, Javaun Splatt, Karel Tvaroh and Jack Thatcher. First half commenced and on the 4th minute, chance came for Witton as Will Jones broke clear and fired an effort across the goal but went wide. On the 11th minute, chance came for Sports with Shaquille McDonald taking a shot but was dragged wide of the left hand post. A minute later and another chance came for Witton with Danny McKenna meeting the ball from a cross into the box and met Anthony Gardener but his shot went wide. On the 13th minute, huge chance came for Sports as Jack Storer went up the other end and struck a powerful effort that was blocked well by Witton keeper Greg Hall and then Shaquille McDonald took a shot but went over the bar. Second half commenced and on the 51st minute, big chance came for Sports with an excellent shot from Shaquille McDonald but went over the bar.on the 54th minute, Sports made their first substitution of the game with Javaun Splatt replacing Shaquille McDonald. On the 59th minute, huge chance came for Sports with Evan Garnett’s strike took a deflection but officials gave a goal kick. On the 76th minute, chance came for Sports with Jimmy Phillips who cut inside the box and the ball met James Baxendale who’s shot went over the bar. On the 79th minute, huge chance came for Witton but fell short has Billy Smart was a yard out and struck the ball from a low cross over the bar. On the 84th minute, chance came for Sports with a good effort from Jack Storer but his shot from outside the box is saved by Greg Hall. Well what a difference a week can make! Things looked stacked against John McGrath’s side when they conceded a last minute goal in their last home game to lose 1-0 to Whitby Town. But fast forward a week and after two fantastic away victories at Workington AFC and Nantwich Town, Sports have moved out of the drop zone. Due to results going their way as well, Sports destiny is in their own hands with three home games coming up, starting on Tuesday night. It’s a rare chance for Sports to do the double over any side this season, after the 2-1 win at Witton way back in October. Witton however are in a good run of form and despite the play offs out of their reach, they will want to finish the season strongly. For Sports it is a chance to move further clear of Workington and Bamber Bridge and put the pressure on going into the final few games of the season. 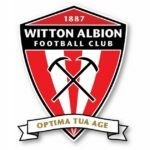 A Ben Harrison double either side of half time saw Witton Albion record a 2-0 victory over Workington AFC, doing Sports a favor in the process! Sports also won on Saturday with the 3-2 win away at Nantwich Town. Jack Storer, Evan Garnett and Jiri Boula scoring the goals to see Sports move out of the relegation zone. Nathan Jarman is still continuing to recover from injury. Jake Scott should now be back into the squad as he has now completed his three match ban. Everyone else is presumed fit and available for selection. 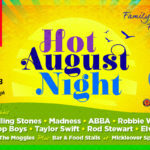 The game is a 7:45pm Kick Off at the Don Amott Arena on Station Road, Mickleover, DE3 9FB with Admission Prices set at £10 Adults and £7 Concessions, £2 12-16 Year Old’s and Under 12’s FREE with a full paying adult. Derby County Season Ticket Holders not going to Blackburn Rovers are being encouraged to come along to support their local non league side with reduced admission of £7 on production of their club’s season ticket at the turnstile. 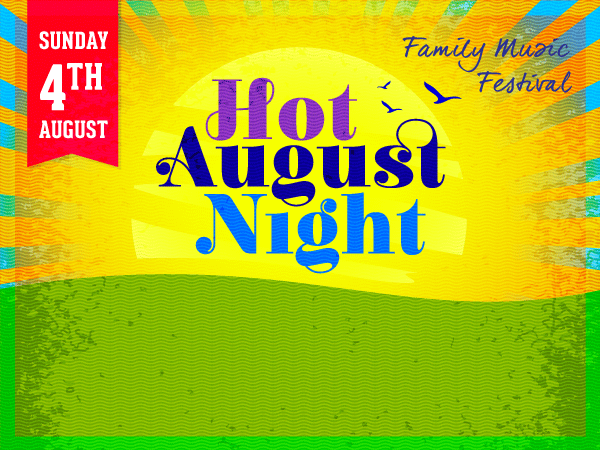 The bar and snack van will be open as usual serving hot and cold drinks and food before during and after the match. Your new look Sports Report Match day Programme will also be on sale at the turnstile for only £2! This features the thoughts of Chairman Don Amott and Manager John McGrath plus all your usual content. 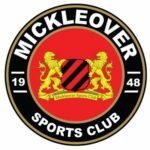 A fantastic battling performance from Mickleover Sports ensured a second away win in a week as they managed to take all three points away from Cheshire. The Dabbers went ahead twice through two goals from Callum Saunders but Sports showed fight to equalise twice quickly through Jack Storer and Evan Garnett. Then out of nowhere substitute Jiri Boula make a daring run and thundered a strike into the bottom left corner just before the break. That’s how it stayed after Sports rode their luck in the second period but they held on to come out of the relegation zone with both Bamber Bridge and Workington both losing. Lewis King remained in goal. The back four consisted of Karol Tvaroh, Neil Yadolahi, Pablo Mills and Ben Turner. A midfield four of Jimmy Phillips, Mason Warren, Ricky Ravenhill and James Baxendale. Jack Storer and Evan Garnett were up front. The Sports bench consisted of John McGrath, Will Norcross, Levi Amantchi, Jiri Boula and Shaquille McDonald. The first goal of the afternoon came after only 15 minutes as Sports conceded an early penalty kick. Neil Yadolahi was deemed to have brought down Sean Cooke and the referee showed no hesitation to point to the sport for a Dabbers penalty. Callum Saunder stepped up and smashed the kick against the left hand post but due to the power of the strike the Sports defence could not react quick enough and Saunders was left alone to prod the ball into the bottom right corner. However it didn’t take long for Mickleover Sports to equalise and get back on level terms. 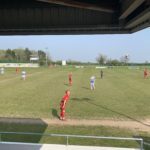 A throw was played into Sports midfielder Jimmy Phillips sent a beautiful cross into the far post and up lept striker Jack Storer to head home a powerful effort into the bottom left corner past the keeper for his second goal in two games. Nantwich then retook the lead in a frantic first half as Callum Saunder bagged a brace. A cracking strike from outside the box was very well saved by Lewis King but it was only palmed into the path of Saunders as the Sports back line didn’t react in time and he buried it into the bottom right corner. But yet again Sports showed fight and character to battle hard and got back into the game for a second time as Jimmy Phillips showed real determination to win the ball back on the far side byline and played a simple ball over to Evan Garnett in the middle of the box and he hit it first time into the bottom left corner to bring Sports back level for again. But this time however it wouldn’t be Nantwich going on to get a third it was in fact Sports who were would go ahead this time just before the half time break. Evan Garnett won the ball back in the middle of the field and played a pass out to Jiri Boula who had come on for Neil Yadolahi only a few minutes before. Boula had acres of space to run down the right hand side of the pitch and has he darted into the box unleashed a stunning low strike past the Nantwich keeper and into the bottom left corner to leave Sports going into half time a goal to the good. 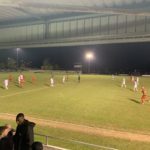 The second half was goalless as the Sports goal rode a dangerous life but Sports saw the game out to record a second away win of the week and only their fourth of the season to move three points clear of the relegation places and leapfrog Bamber Bridge. 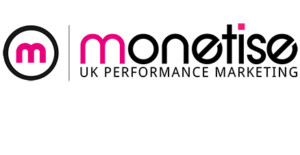 Sports boss John McGrath has acted quickly to bring in extra fire power and defensive cover ahead of the Non League Transfer Deadline on Thursday (28th March). 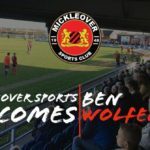 Striker Ben Wolfenden and Center Back Neil Yadolahi have both been signed up as free agents to help Sports fight the drop in their remaining seven games of the season. Ben Wolfenden,21, is a striker that has graduated from the AFC Bournemouth Academy and most recently found himself at fellow Premier League side Tottenham Hotspur from 2012 till being released in 2018. Ben is 6’1 centre forward who joins Sports after being recommended to John McGrath and after impressing in training has been signed up. Neil Yadolhi,25, is a well traveled center back who was signed by Burnley at age 16 for £150,000. Having played under Owen Coyle, Eddie Howe & Sean Dyche during his time with the Clarets, he then went onto sign foe Nigel Clough’s Derby County. He then departed the Rams for Turkish Side Bursaspor in 20145 on a 2 and a half year deal. 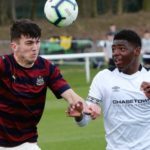 After just nine months Neil left Turkey, had a short stint at Swansea City on loan before enjoying a few years in Ireland with Bohemians and Drogheda United. Injuries prevented a longer stay and after his departure from Ireland he signed for MLS side Vancouver Whitecaps but has most recently spent time in Iran with top flight club Saipa. Neil has represented Ireland at all youth levels from U15 TO U21 due to having an Irish mother and has also featured in both Iraq and Iran National Squads due to his fathers joint nationality with both nations. 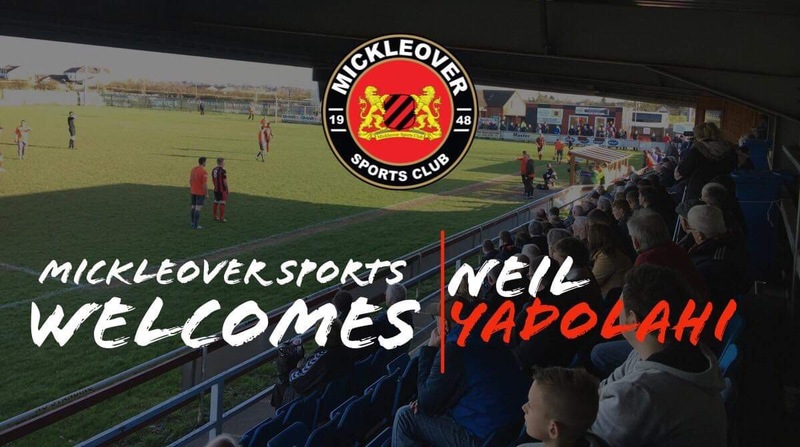 We welcome both players to Mickleover Sports and hope they enjoy their time with the club. Both will go straight into the squad to face Whitby Town on Saturday 30th March at The Don Amott Arena.